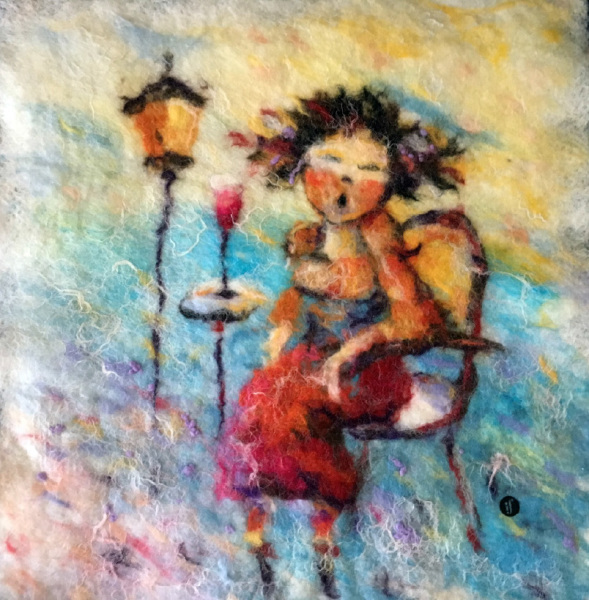 I really like the "Wool watercolours" technique to create works for interior design. 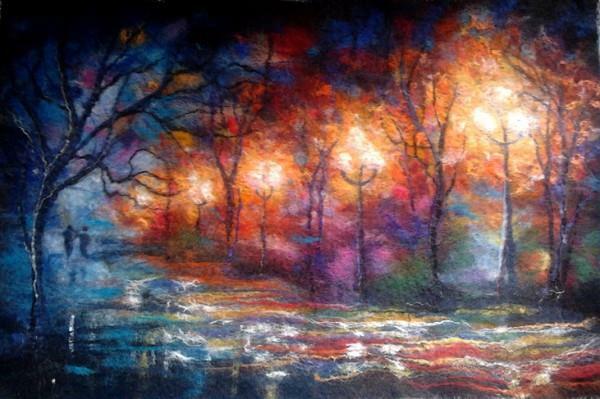 It is a very cosy world and its creation is the real art therapy. 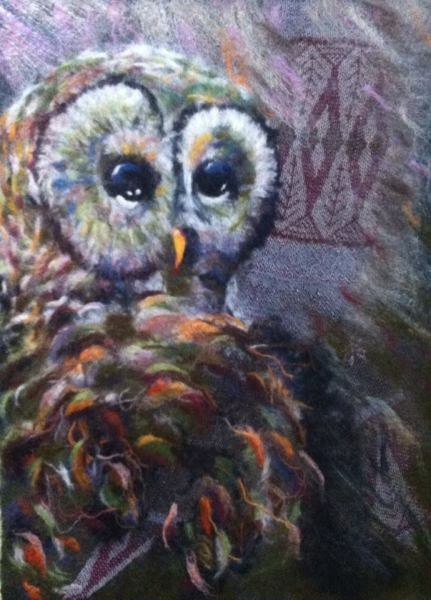 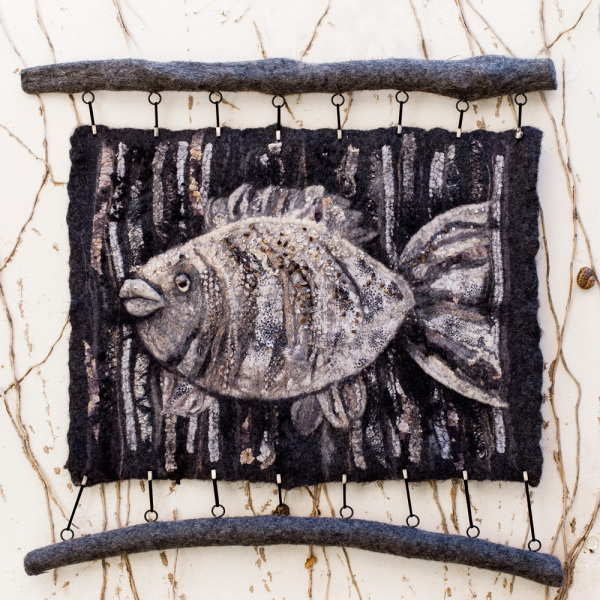 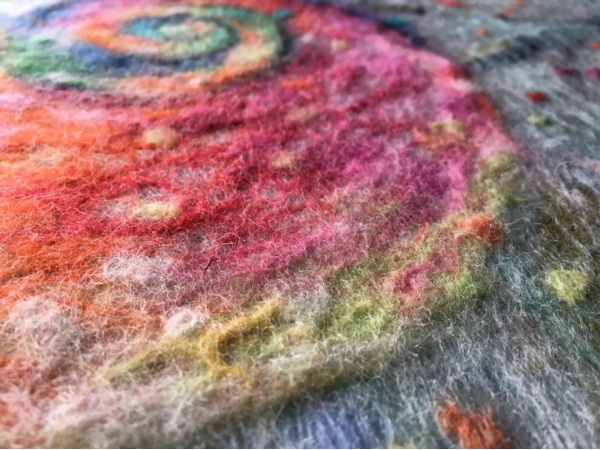 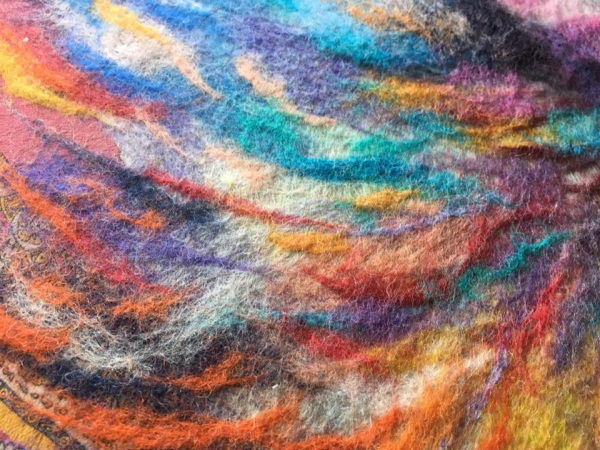 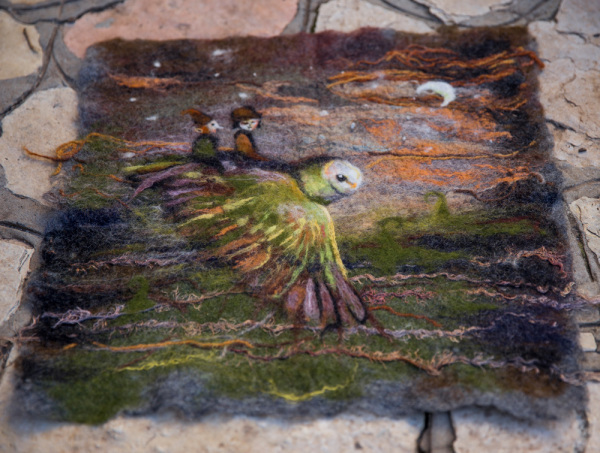 Felted Wool Panel "Fairy tale"